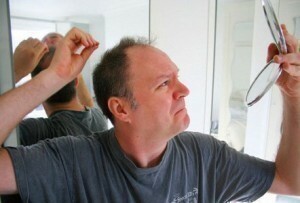 Hair loss is a concern for many men and women. It may occur because of the natural ageing process or prematurely from an underlying condition like: lupus or diabetes. Other reasons for hairloss may include stress, hormonal changes especially those observed after pregnancy and during menopause, over-active or under-active thyroid, taking certain types of medications and possible infections. Additionally an individual may lose hair because of improper care or wearing hairstyles that promote hair loss which may include ponytails and corn rows. In some cases of hair loss there may be some things that you can do to help stop hair loss and even regrow some or all of your hair. However natural home remedies do not necessarily work for all people and should be used with the foreknowledge that you may experience little or no results. Hair loss also has the potential to correct itself on its own without any form of intervention, but if you prefer to combat hair loss immediately then you may use any or all of the following natural remedies listed below. You can make special hair tonics out of natural ingredients for example one such tonic in-cooperates coconut oil and alma oil. All you need to do is boil the oil and add a generous portion of alma oil. Remove the mixture when hot and use it when it has cooled sufficiently. It has been suggested that massaging the scalp may promote hair growth. 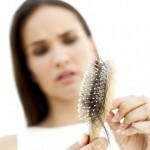 By massaging the scalp carefully each day for a few minutes you may be able to stop hair loss and boost hair growth. You may also use almond oil on the scalp. When applying it massage it into the scalp for better coverage. It has been shown to stop hair loss and is also a good treatment to use in the hair regardless. You can use aloe vera as a natural hair treatment. The plant can be cut and then used directly. The slimy liquid should be placed on the hair and scalp. Allow it to penetrate well into the hair shaft by letting it remain in the hair for at least 30 minutes. You may use a steam cap for greater penetration. Mayonnaise can be applied directly to the hair as a natural protein treatment. This will help to sustain the strands that have not fallen out. It will also possibly promote more hair growth being protein based. However the main goal of using this treatment is to maintain the viability of your existing strands. If you have very thin hair wash your hair less often and alternate shampoo usage. Instead of religiously using shampoo on days where your hair is greasy opt to wash it using only warm water and conditioner, you may limit the use of shampoo to every 4-6 days. Washing your hair too much especially if processed may weaken your hair. You may also use jojoba oil which may not only help regrow hair but reduce any dandruff that is currently on the scalp. Another important natural method that should promote hair growth is changing your diet. By eating more healthily your entire body will function more effectively thus leading to better cell renewal and in fact much improved hair growth. Try to get adequate amounts of all the necessary nutrients by eating: avocados and nuts that will provide vitamin E; meats, poultry, fish and dairy which will provide the body with B vitamins, protein and sulphur; and leafy green vegetables, dates, liver and whole grain cereals which will give you much needed iron.